Treat Factory Kookie Krunch is the dessert e-juice flavor that you need in your life right now. There is nothing quite like taste of warm home made chocolate chip cookies to satisfy that sweet tooth you have been experiencing. The taste from Treat Factory’s latest flavor encapsulates that same taste that you get when you bite into a chocolate chip cookie. 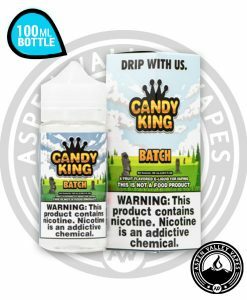 You will also attract the noses of all your fellow vapers when vaping Kookie Krunch vape juice as its smell is identical to a chocolate chip cookie. There is some judgement that we face when we cannot stop eating cookies right after another but, when you vape Kookie Krunch there is no judgement here! We encourage it! 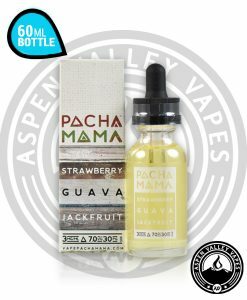 Pick up a bottle of some the best dessert flavored e-liquid on the market. 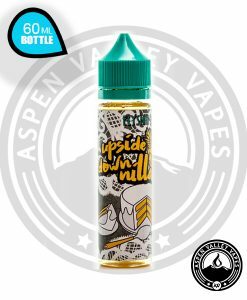 Sometimes it can be hard to transfer the taste of a chocolate chip cookie into a e-juice flavor, but the creators over at Treat Factory accomplished that impossible task. 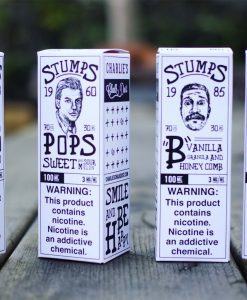 As soon as you take your first vape hit, you will be able to taste the subtle taste of chocolate that perfectly compliments the flavor of sweet savory cookie dough. 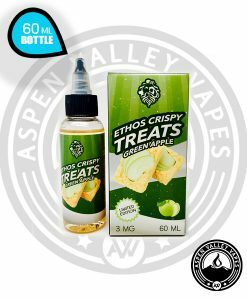 There is not many cookie flavored vape juices that we carry at Aspen Valley Vapes, but we had to make an exception for Kookie Krunch. It is just too good to say no to. The question isn’t will you pick up a bottle of Kookie Krunch but, instead how many bottles are you going to pick up? It is a decision that you will not regret! This amazing cookie dessert flavored e-liquid is offered in nicotine level options of 0 mg, 3 mg and 6 mg.
Great flavor with a nice drag. It’s worth a buy.